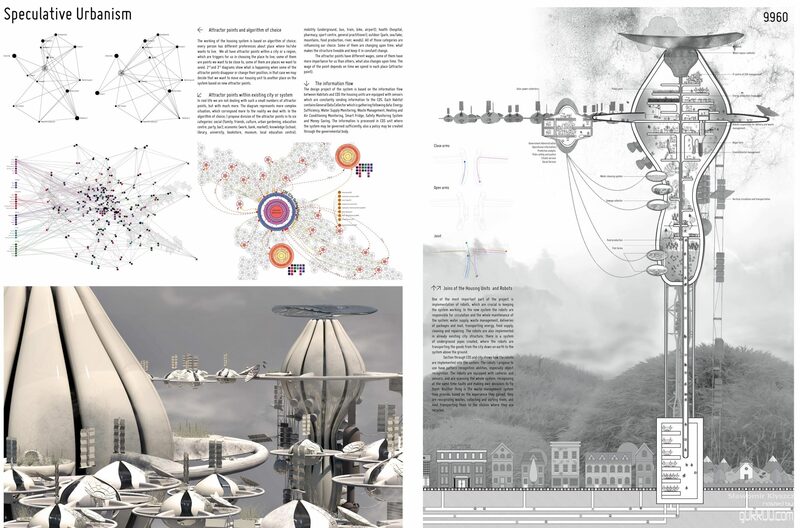 Speculative Urbanism | gURROO - A new generation of innovative minds. With constant development of the Internet, information flow and more and more intelligent robots and machines we may speculate what happens if finally, artificial intelligence will be created, what if the machines will be more intelligent than we are and one day overcome us. The project takes its name from Speculative Realism, the new philosophical movement rejecting Kant’s doctrine which places the human in the centre of cognition, for metaphysical realism, which belief that some aspects of reality are ontologically independent of our conceptual structures, observations or linguistic practices. Speculative Realism takes into consideration a world where robots and machines could be at the same level as we people are and people will be not any more in the centre of cognition but we will have to share our world with another existence. 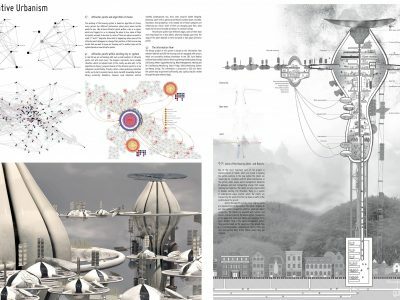 Speculative Urbanism is a design project about the future of our cities and the world. 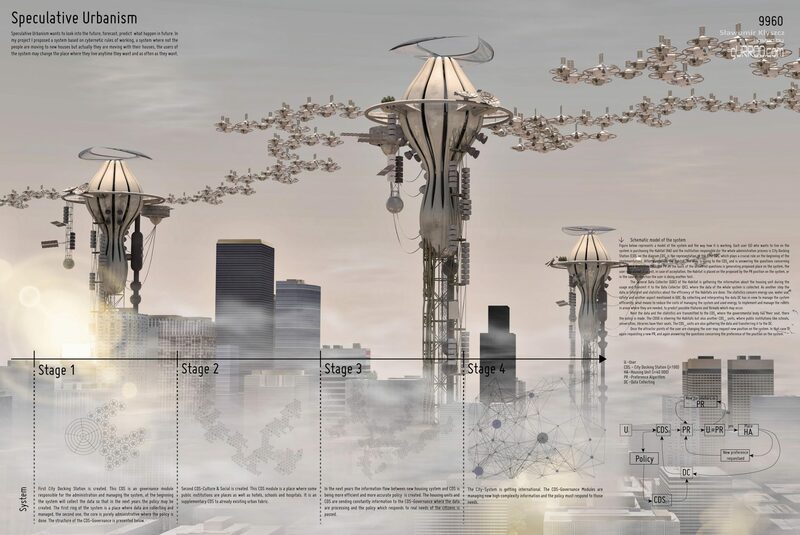 The design project proposes a system of movable housing units flying over our cities, joint together and connected to City Docking Station units. The design project is equipped with robots using pattern recognition to maintain the system. The new system of housing is fully integrated with existing city fabric. 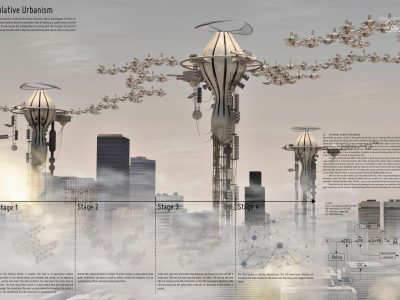 Speculative Urbanism is a design project where robots coexist with human being and implements also cybernetic into working system. The housing units are equipped with sensors which are constantly sending information to the City Docking Station. Each Habitat contains General Data Collector which is gathering following data about energy sufficiency, water supply, waste Management and others. The information is processed in CDS unit where the system may be governed sufficiently, also a policy bases on the collected information may be created through the governmental body.